William Paterson University’s Music Department showcased the hard work of their students and faculty in their Collage! 2019 concert. The performances ranged from jazz to opera. 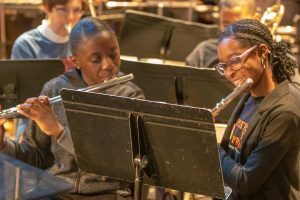 Students across a myriad of genres and styles performed in choral sectionals, wind ensembles, percussion ensembles, and even performed a scene from musical theater. The Paterson Music Project is fortunate to work with music students from William Paterson University, and we were granted the opportunity to join the stage with such talented students. One such student, Elise, had the unique opportunity to conduct her PMP students for her peers. 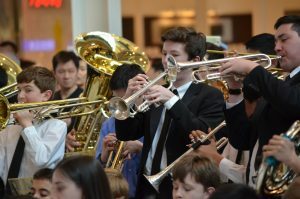 Take a break from filling out your March Madness bracket to read about all the ways we are fundraising for the New Jersey Youth Symphony this month! NJYS Parent Program Ads – Submit a congratulatory Ad for your students’ last concerts of the season. First deadline for concert package (4/7, 5/4, 5/11 concerts) is THIS FRIDAY, March 22. Contact Allison Arnold to place your ad today! NJYS Student Instagram Contest – “Why do you love NJYS?” Post a photo on your Instagram about NJYS using hashtag #Playathon2019. Photo with the most ‘Likes’ wins a prize. Contest ends June 3rd. Greeting Card Reminder: Cards for a Cause – get your Greeting Cards for the year today for an unbeatable price ($30/30 cards!) and support the 2019 NJYS Playathon. Follow THIS link to place an order. Make a general donation to the 2019 NJYS Playathon and 40th Anniversary season HERE. Place an Ad for your business in our NJPAC Concert/Gala program book seen by over 2,000 people. Contact Allison Arnold to place an Ad. Deadline: May 3. Text-To-Donate: You can now Text-To-Donate to the 2019 Playathon! Text MUSIC to 74121 and follow the instructions. Then share our crowdfunding link on social media: qtego.net/music! We’ve sprung ahead, which means that Spring (and Summer) are right around the corner. At the Performing Arts School, the warmer weather tells us to get ready for Summer Camp! We have options available for everyone. 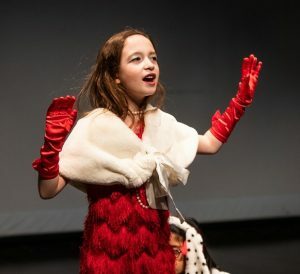 If your student is a beginner, or just looking for an introduction to theater, then Theater Explorers is a great place to start. Theater Explorers is offered weekly between June 24 and August 23. Campers can attend full or half-day sessions. Each week campers explore acting, singing, and dancing based on a theme (Moana, Coco, Harry Potter, Mary Poppins, to name a few). Full-day campers participate in technique workshops each day led by special guest artists. All campers take part in the weekly Friday showcase at 5:30 p.m. You’ll be amazed at what they can accomplish in just a week! One week isn’t enough for your camper? We’ve still got you covered. Wharton Arts offers several multi-week camps throughout the summer. Triple Threat Musical Theater Intensive (July 8 – 19) is a two-week musical theater experience for campers 7-11. Students will experience Willy Wonka Kids from auditions to two full performances on the last Thursday and Friday of camp! Summer Company is another chance for your camper to experience a full production in just two weeks. Campers 10-15 will audition, rehearse, and prepare for two stunning performances of Into the Woods from July 22 – August 3. Come be a part of the magic. Maybe your camper is more interested in just acting. Ms. Lilli’s Drama Kids is the perfect choice! This camp focuses on acting and is held in the morning hours so that your camper can have the afternoon free for other summer activities. Drama Kids runs from August 5 – 16. Campers will prepare for a full performance of Peter Pan: Chapter 8, The Mermaids’ Lagoon. For the first time this year, Drama Kids will be working with a stage combat guest artist to prepare choreography for the show. You won’t want to miss it! For the dancers out there, our Hip Hop instructor Ms. Nia is back this year with Hip Hop Dance Camp from June 24 – July 3. Campers hone their skills in dance technique (Jazz, Hip Hop, Modern) during the morning, and then prepare for the Hip Hop showcase in the afternoon. Are you ready to dance? You can find more information about all our summer camps here. Enroll by April 30th to receive 5% off your registration. We’re looking forward to another summer of fun! Meet Kevin from the New Jersey Youth Symphony! 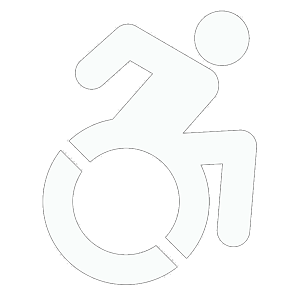 Watch his video and follow all of Our Stories on our blog. Meet Riya from the Performing Arts School! Watch her video and follow all of Our Stories on our blog.